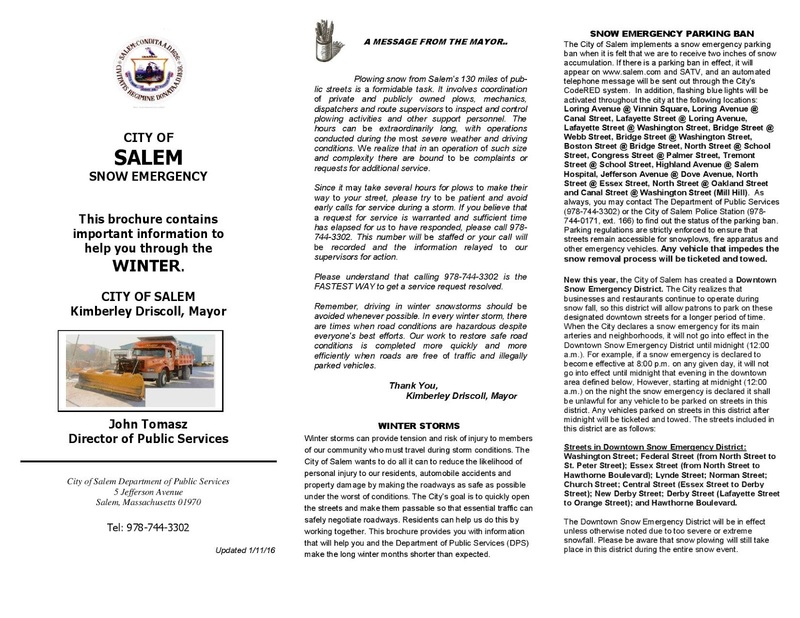 The City of Salem has released the 2016 Snow Emergency Brochure. 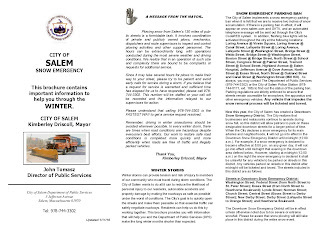 There have been some changes from previous years, most notable the city has created a "Downtown Snow Emergency District". In this area of Downtown snow emergencies will not go into effect until midnight of the night they are declared to minimize impact on local businesses. Please direct your call to the appropriate agency or organization for the most prompt service. During storms all city departments see an increase in calls for service and we ask for your patience and understanding. 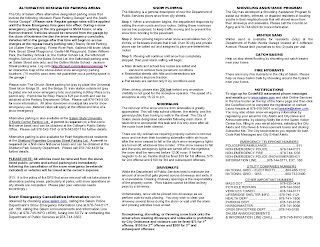 Do not call 9-1-1 for information, complaints, or concerns please reserve the lines for true emergencies. We will make every effort to keep you informed this winter. 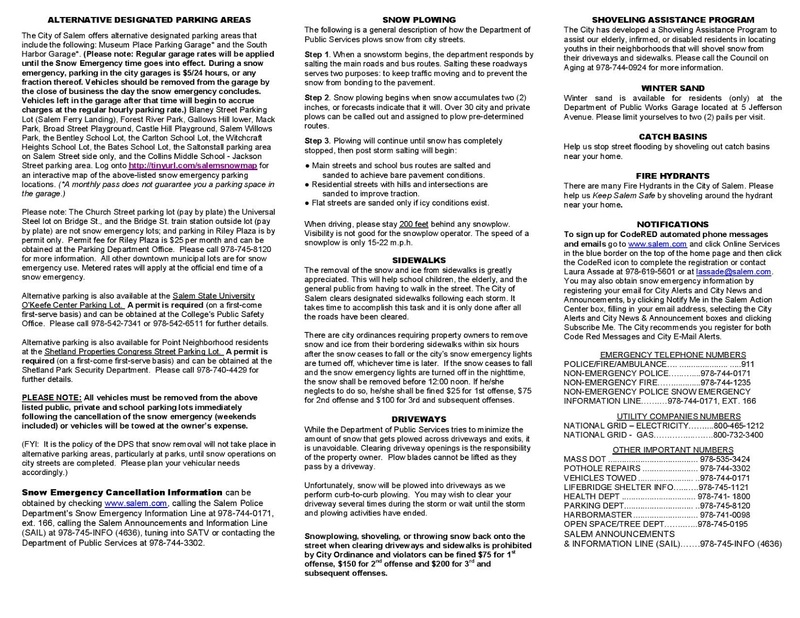 Vital information during snow emergencies will be posted regularly here, on our Facebook page, and on our Twitter account. Please check them regularly as the winter proceeds and follow our accounts if you have not done so. We've had a great winter so far, hopefully this post didn't jinx us!